• Kate Cox at The New Food Economy discusses her findings and research on funding gaps for women founders across the food and agriculture sectors. 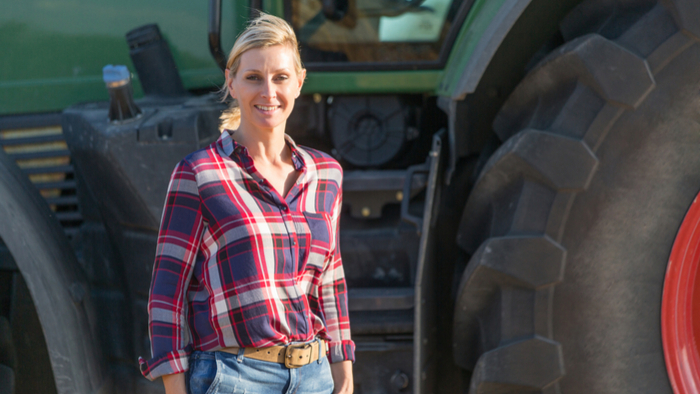 • How can we help fund more female farmers in America? How can donors raise more awareness to the gender gap in agriculture? • Here’s how women are key for a more sustainable food system. Giving Compass' Take: • Anam Parvez and Lucia Rost explain the problems caused by the unequal division of care work and how policy shifts can alleviate the burden to help women advance. • How can philanthropists help change care work policies? How do cultural norms play into this issue? • Learn why microfinance alone can't empower women. Women around the world often spend many hours a day and on average 3 times as much as men on unpaid care work and domestic work, which includes activities such as cooking, collecting water, caring for the elderly and children. This is an investment of time that we all benefit from, through healthy families, societies, and economies. Yet often, unpaid care work and domestic work is not considered to be ‘real’ work and is seen to fall outside the boundaries of the “market”. It continues to be invisible in terms of how we understand the economy, what we count as productive and valuable and therefore how fiscal policies get formulated and their impacts analysed. The SDGs, unlike their predecessors, include a target calling for the recognition, reduction, and redistribution of care work. More development practitioners are also starting to acknowledge that care is not just the responsibility of household members, but that governments can and should play an important role in meeting care needs. Our new paper uses the 2017 Household Care Survey (HCS) findings from Uganda and Zimbabwe to explore the relationship between public investments in care related infrastructure and services and better outcomes for society. Fiscal policies that manage to effectively reduce the levels and intensity of women’s care work also have broader implications for women and children’s welfare and for the wider economy. Implications: Benefit to women’s health: we find that more than 1/3 of women reported an injury or illness due to their unpaid care work and over half of these women said the harm was long-lasting. Improvements in care of children: due to heavy workloads, a significant minority of women (24% in Zimbabwe and 18% in Uganda) reported that in the last week, they had left a young child alone knowing there was no one looking after them. Reductions in gender inequalities in paid work: women interviewed in Zimbabwe and Uganda spend over two hours less a day on paid work than men. Read the full article on policies to reduce inequalities in care work by Anam Parvez and Lucia Rost at Oxfam. Learning with others and benchmarking are key steps towards becoming an impact giver. If you are interested in giving with impact for Food and Nutrition, take a look at these events, galas, conferences and volunteering opportunities to connect with individuals like you.